At Steptoes Footcare Centre we treat people of all ages and with all manner of foot problems. We offer assessment of problems and devise a treatment plant to suit individual specific needs. If you are unsure of what kind of treatment you require, please contact our receptionist who will be happy to advise you. At this appointment an assessment is made not only of the foot position but the relation to legs, knees, hips and upper body position. It involves looking at bone position, joints and muscle activity and their influence during the walking cycle and how it impacts upon the body. Once a static and ambulatory assessment is made a treatment plan can be made which may include specific stretches or exercises and the provision of orthotics if required. 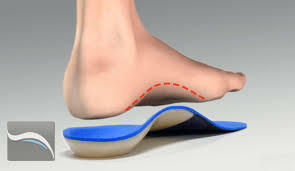 Orthotics are profiles that are positioned under your foot in a shoe. They are shaped to specifically support your foot in a structurally improved position to assist in the mechanics and movement when you walk. 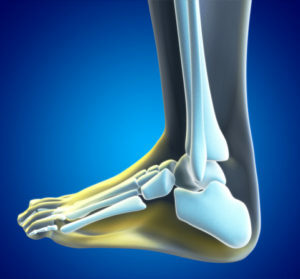 The aim is to improve the function of the foot and gait cycle pattern to alleviate bone and soft tissue problems, to promote better body posture and stability. We keep a stock of orthotics we can issue in clinic with or without modifications and for more specific requirements we can order custom made orthotics. There are many options in orthotic types and also sport specific orthotics. We also have a range of orthotic footwear either in stock or to order (see Strive on Products Page).